It says, “Do it!” (for their own sake and everyone who ever comes into their life). The key biblical word translated “discipline” (“chastening”—KJV) is paideuo, which means, “the whole training and education of children, (which relates to the cultivation of mind and morals and employs for this purpose now commands and admonitions, now reproofs and punishments). It also includes the training a care of the body. It cultivates one’s soul by correcting mistakes and curbing passions.” The biblical use of this word shows that it is how God deals with us as His children and that it is rooted in a parent’s deep love for his child. Many good books have been written on Christian child-raising, and it is not our purpose to repeat what they say. The point we want to make here is that the reason why God holds parents accountable for raising their children according to His Word is because (a) no child asked to be born and (b) “Foolishness is bound in the heart of a child…” (Prov. 22:15). First, if you bring a child into this insane world, you owe it to him to teach him the Word of God and give him the greatest opportunity to know the Lord Jesus Christ so that he can live a godly life. If you don’t, you are making life much harder for him, if not disastrous. Second, because of Adam’s disobedience, your kid is a potential psycho because he has the sin nature he inherited from the original prototype human who went South. Unless he gets born again and learns to subjugate his sin nature and walk with the Lord, the quality of his life will most likely range from meaningless to miserable. A truly loving parent wants the best for his child, and thus gets to know him so that he can coach him in the most appropriate way, based upon the child’s strengths, weaknesses, interests, etc. The rest of the above verse, Proverbs 22:15, says, “…but the rod of correction shall drive it far from him.” It does not say the “fist” or the “boot” of correction. 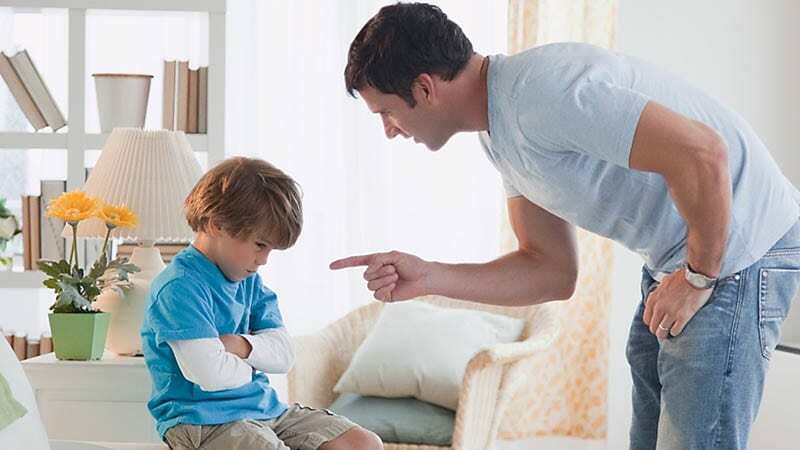 Before a child grows up to the point that he can be reasoned with, God instructs parents to use something like a small stick (or a wooden spoon) in order to cause the child pain and thus get his attention with a consequence for his disobedience. That is better than “spanking” a child, because you want him to associate your touch with your affirmation of him. A godly parent does not act in anger nor does he ever do any harm to the child. Afterward, he reinforces his love for the child.